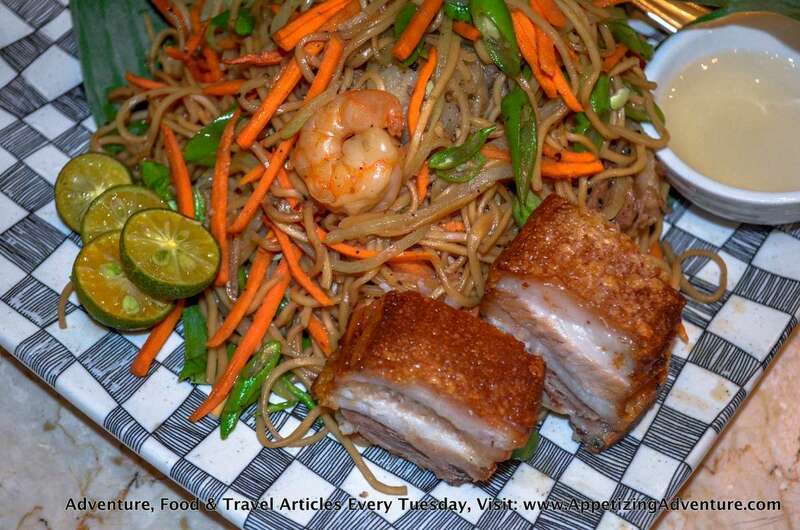 Do you have balikbayans craving for Filipino food? 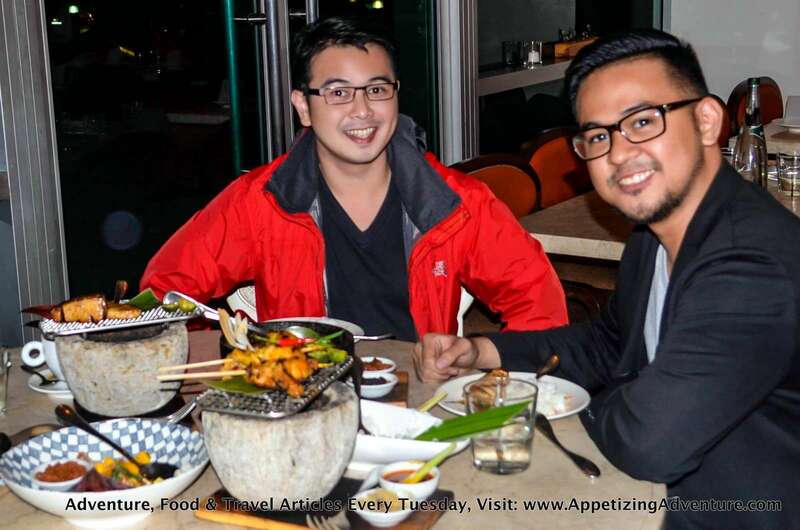 Or foreign visitors who would like to experience the Pinoy fare? Or maybe you and your family just want to sit down and enjoy dishes you grew up with? 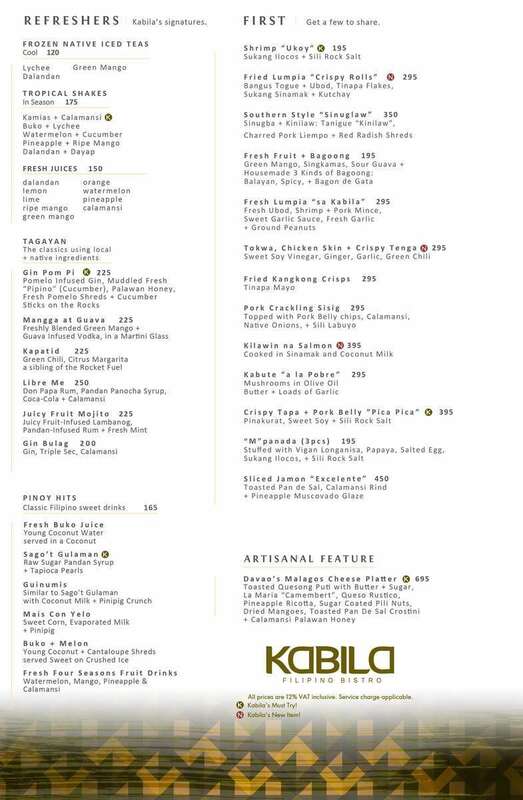 Kabila Filipino Bistro entices its guests with a gastronomical tour of dishes from different regions of the country. Start with Ensaladang Kabila. 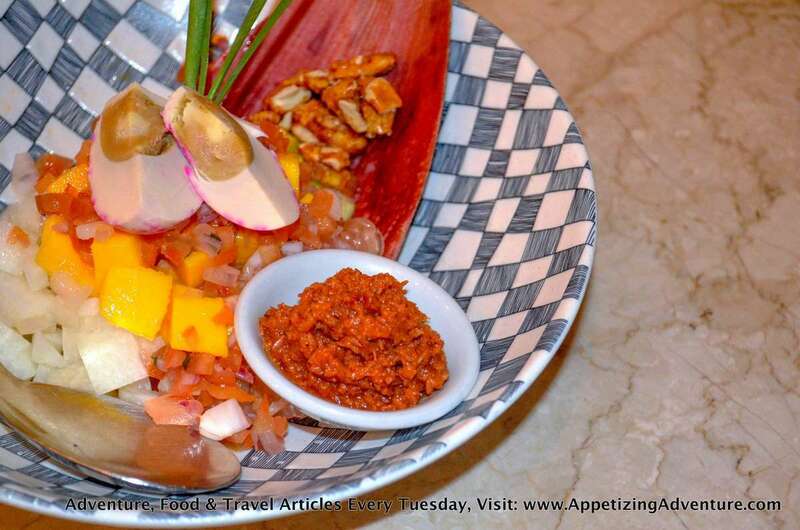 This salad has a refreshing contrast of flavors with the salted egg, guava, green mango, and bagoong (shrimp paste) ingredients to make it very Filipino. Ensaladang Kabila has ripe mango, green mango, guapple, pomelo, turnip, native tomato relish, salted egg, pili nut, croutons, calamansi vinaigrette, and homemade bagoong. Then, you can try their rich Kangkong in Spicy Aligue sa Gata topped with garlic chips. 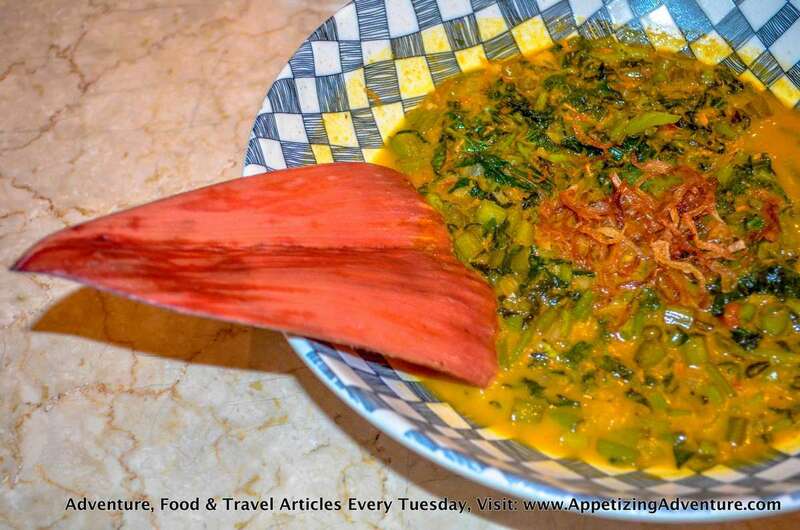 Kangkong (water spinach) takes on a whole new character with the rich crab fat (aligue) sauce and coconut milk (gata). I love Kare-Kare and you have to order this too. They serve Classic Kare-Kare Buntot. It’s something I’ve enjoyed as a kid, and even today. Theirs is just like what I grew up with. It’s made from scratch with tripe, oxtail, beef belly, native talong, pechay, french beans, and special homemade sweet and spicy bagoong. 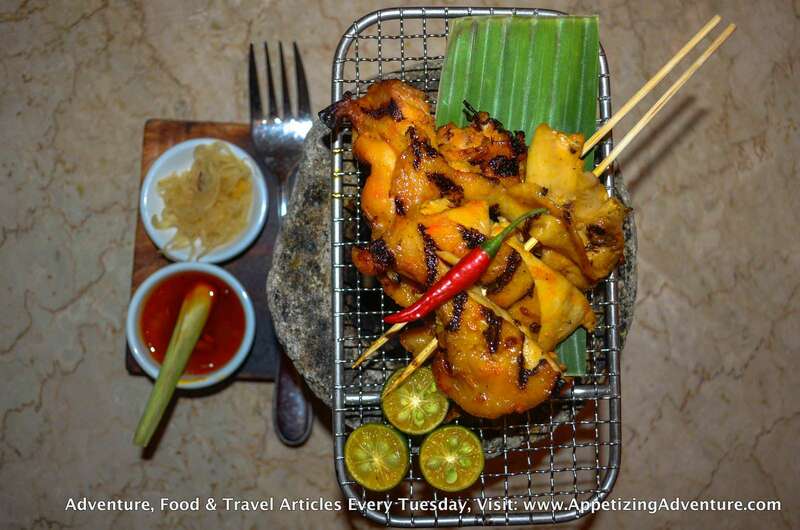 If you’re craving for something grilled, try their gindara and chicken barbecue. The Slow-Grilled Gindara is a must. 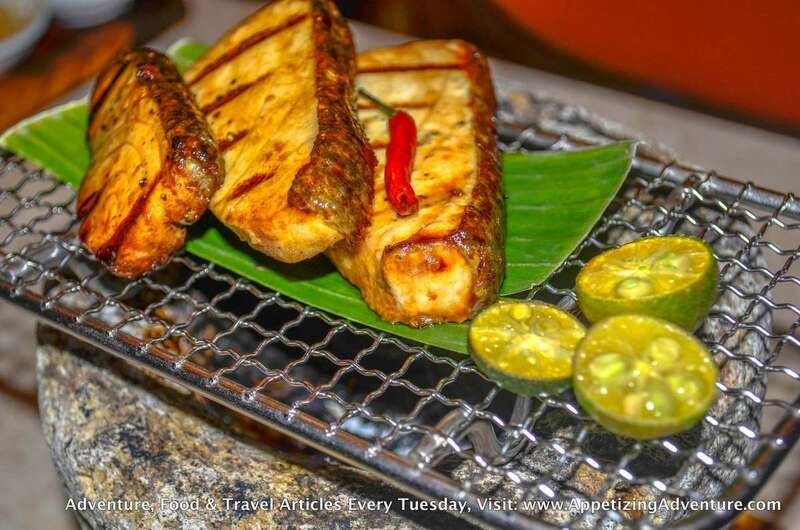 It’s served on charcoal and has a sweet soy-calamansi glaze, served with pickled green mango. If you like chicken, try their version of BBQ Chicken Inasal. It’s a must try. The chicken is tender, and I especially enjoyed eating the tasty chicken skin. It’s kept warm because of the live charcoal. I love their presentation. For noodles, Pancit Kabila is a must. It’s a complete meal in itself with crispy bagnet, beef bok choy, carrots, sayote, Lucban noodles, served with peppered sinamak. Try the Frozen Brazo De Mercedes for dessert. 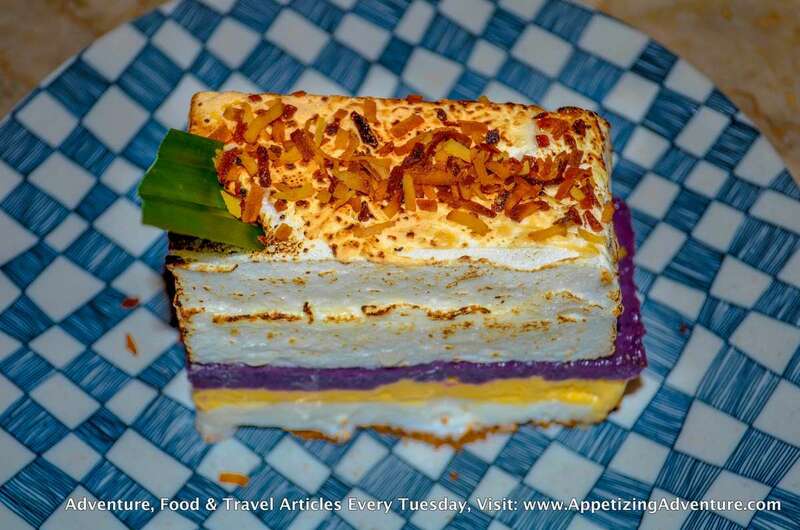 Their version of the traditional Brazo De Mercedes includes toasted desiccated coconut on top, followed by a layer of meringue, ube jalaya (purple yam), mantecado ice cream, and graham crust. Although some items in their menu include Filipino dishes with twists, they’re still “safe,” meaning, they still keep the dishes close to its original form and taste, just improved. The ambiance of the restaurant is simple and stylish. I like the ceiling decors and accessories. The service is excellent. 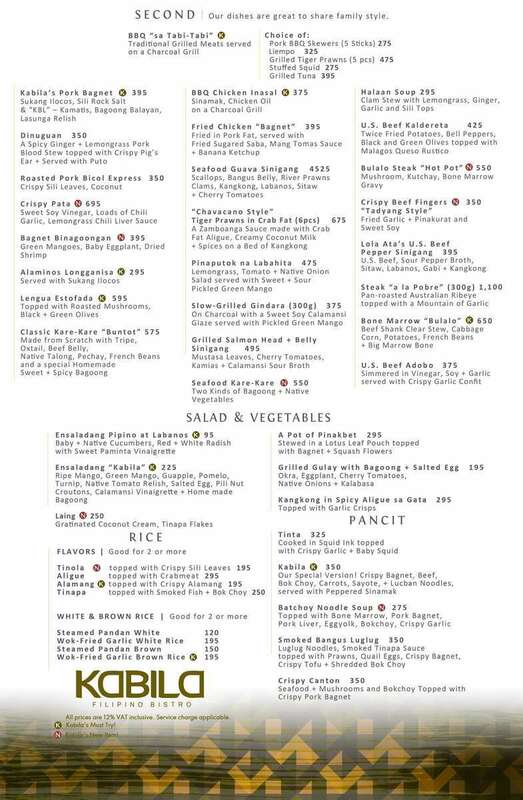 I recommend you try Kabila Filipino Bistro.